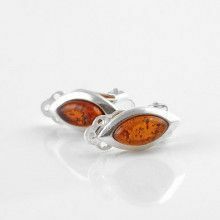 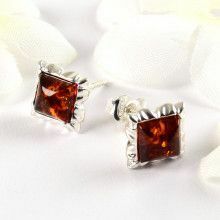 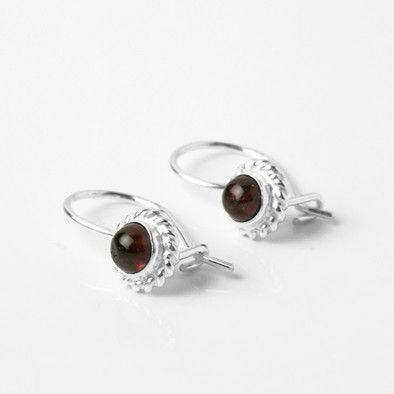 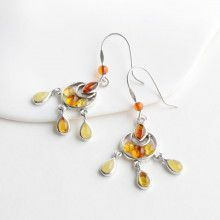 These lovely little pair of earrings feature a dainty design of sterling silver and genuine amber. 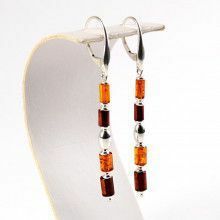 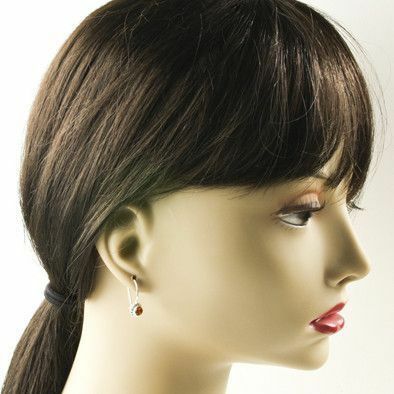 The 3/4" long earrings each have a genuine honey-hued amber stone that is approximately 3/16" in diameter. 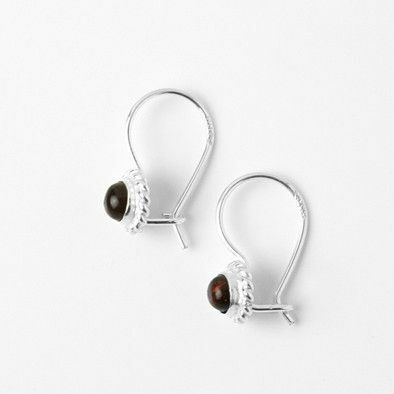 Easy latch hooks. 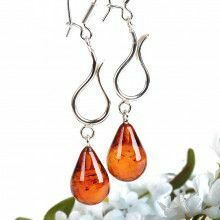 Amber color varies.